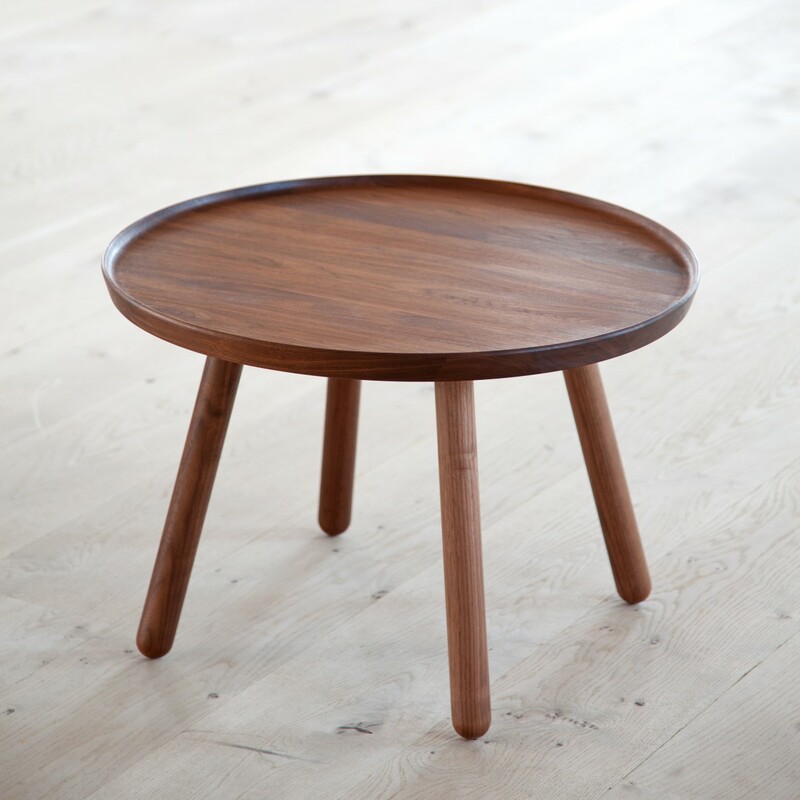 Coffee Table in walnut or teak. 1940. 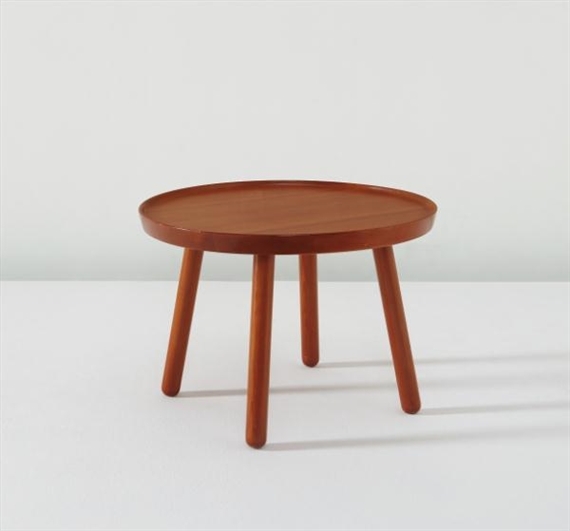 A prototype of the Pelican Table was shown at the annual Copenhagen Cabinetmakers Guild Exhibition in 1940. It was presented together with the now iconic Pelican Chair. Both the Pelican Chair and the Pelican Table are evident results of Juhl’s affinity with sculpture – particularly with surrealism and cubism. He carefully selected artwork, which he knew would be in dialogue with his furniture at the exhibition. “We are very excited to present a unique new piece of furniture that hasn’t been manufactured for almost 75 years. 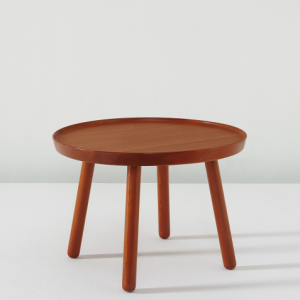 The Pelican Table is extremely rare and yet a great example of Finn Juhl’s ability to merge practical furniture design with sculpture,” says director Hans Henrik Sørensen, Onecollection. Diameter: 63 cm. Height: 45 cm.